I am a graphic designer, so I have to collect massive pics from webpages to provide me with inspiration. But sometimes I need to use them everywhere, even if I've no access to computers or laptops, so I have to resort to mobile devices. In order to achieve this, I use Dropbox to make my materials go handy. However, I keep downloading pics when I find that I like them, and they duplicate in a very short period and keep increasing astonishingly, hence I have to upload a huge bunch of pics to Dropbox. It's always painful to synch Dropbox with plies of files, so I was wondering if there's some tools collaborate well with Dropbox to simplify this trivia. I found this: a great Chrome extension Ballloon. With it, I can save pics directly to Dropbox, meanwhile not downloading them to my computer. If you have the same trouble with me, just follow the steps listed below to get it tackled. You should have a Chrome browser at first to support Ballloon (it should have support for Firefox). Cllick here to get a Chrome browser from official site and install it to your PC. Just ignore this step if you already have Chrome on you PC or laptop. Click here to add Ballloon to your Chrome. 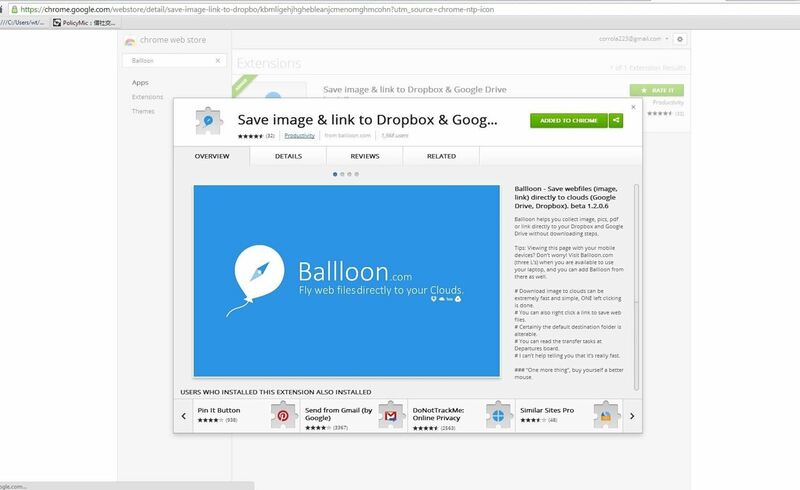 Authorize your Google Drive or Dropbox account with your Ballloon. 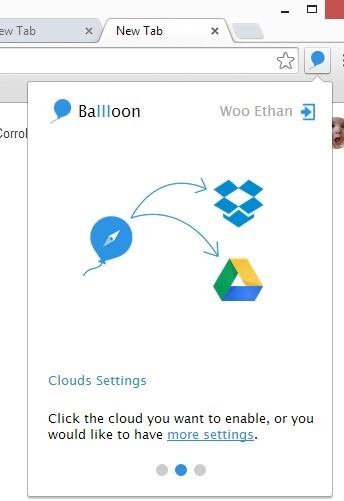 Just left-click the Ballloon icon in the extension column of your Chrome, and authorize your corresponding Cloud, Dropbox, and Google Drive options are offered so far. Everything's done, just enjoy saving pics you need! Instinctively move your mouse to it, then you will amazingly find that there are two icons of Google Drive and Dropbox on the upper right of that pic. Choose the corresponding Cloud storage you enabled, and left-click it, then it goes to your cloud directly. Please see to it that the pics you are saving are copyright-free, and don't violate others' copyright. Get permission before using any copyright-reserved content for commercial purposes. Hope it's useful to everyone who reads this.